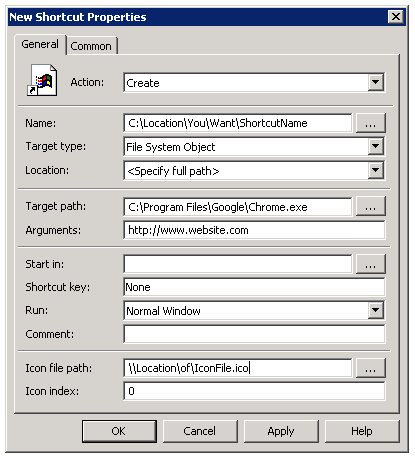 First you’re going to create a New Group Policy Object, and then right-click it and select Edit. 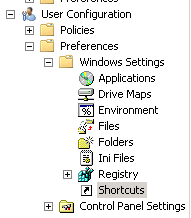 Then you’re going to navigate to User Configuration > Preferences > Windows Settings > Shortcuts. If you don’t care who gets this shortcut, you can follow the same instructions but create it under Computer Configuration instead. From menu select Actions > New > Shortcut. The dialogue below will appear. Here is a sample of the settings that I used for my use case. Target Type can be changed to URL if you are ok with the link opening in the default browser. Location can be changed to some other interesting options, but for my use case I needed each user to have the shortcut on their desktop. Our users do not have permissions to write to the All Users or Default user profiles, and so the quick options under location did not work for me and I got some error codes while attempting to push it out. Make sure that the Icon File Path is in a location that all users can access and is a .ico file, otherwise the icon will be blank. 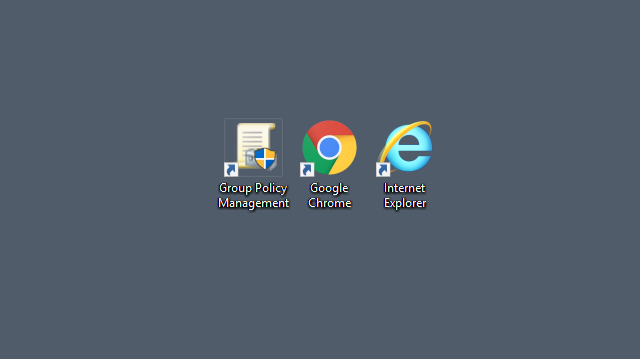 After you have all your settings in place click Apply and then OK. Close the Group Policy Management Editor and get back into the Group Policy Management. Here’s where your use case comes into play. 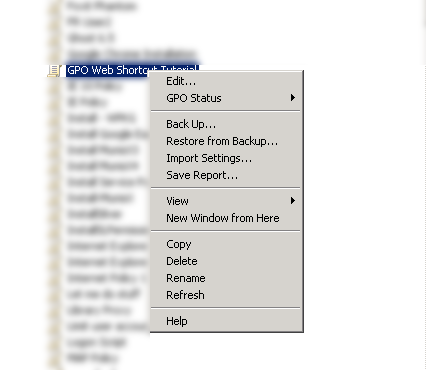 If you don’t care who gets the shortcut, link the GPO at the top of your domain by right-clicking the location you want it in and select Link Existing GPO then select the one you made. 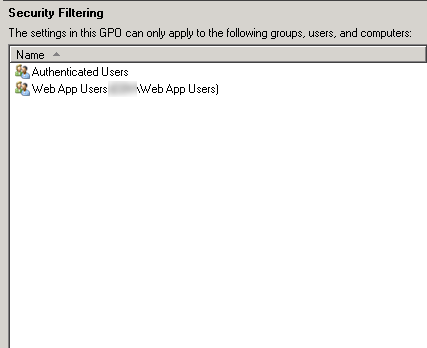 If you only want to deploy this to specific users you can do some filtering with security groups. 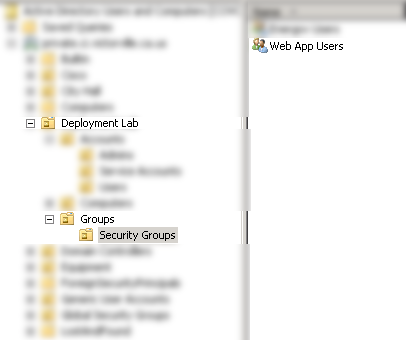 For my use case I created a security group in Active Directory named similarly to “Web App Users” and then added the target users as members of that group. 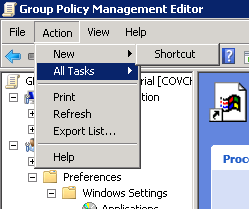 In Group Policy Management you can then add the security group as a filter.